Back in June when we got the rumored change log for the Android 3.2 Honeycomb update, one interesting addition was support for Qualcomm Chipsets and lower res screens. We believed this would be a key improvement as it would allow the HTC Flyer (which we will review shortly) to get a true Tablet experience. While the Tablet-centric version Sense UI does a great job optimizing Android 2.3 for tablet use it doesn't compare to the Honeycomb optimized apps available on the Android Market. 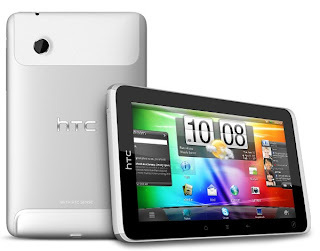 It now seems that HTC has an early build of Android 3.2 Honeycomb for the Flyer and it has been leaked to the astute modder Paul O'Brien from MoDaCo. Hopefully will we see the same Sense UI enhanced version of Honeycomb that will be found on the HTC Jetstream.